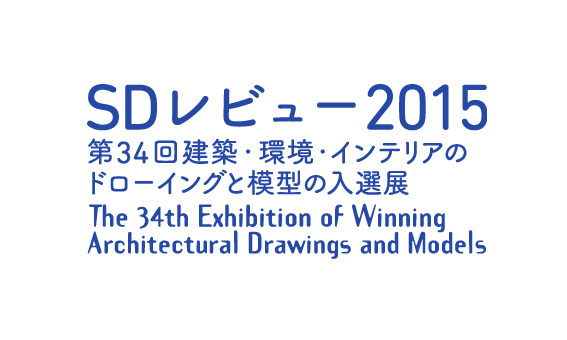 For more information about the projects featured in the exhibition, visit the webpage of SD Review here. Hillside terrace F tower, Hillside Forum. 18-8 Shibuya Sarugaku-cho. 150-0033 Tokyo. The aim of SD Review is to provide a place that enables architects practicing in localities and young architects to present their works and winners to build new networks or communicate with one another through exhibitions: offers a survey of that year’s architectural trends and reflects that year’s social conditions: and stimulates activities in the architectural world. Architects and designers are invited to submit real projects in the design or construction stage: selected works are displayed in an exhibition, reviewed and published. Unlike a competition purely of ideas, this is an attempt to offer a new perspective on the way architects, through design, grapple with the real world.